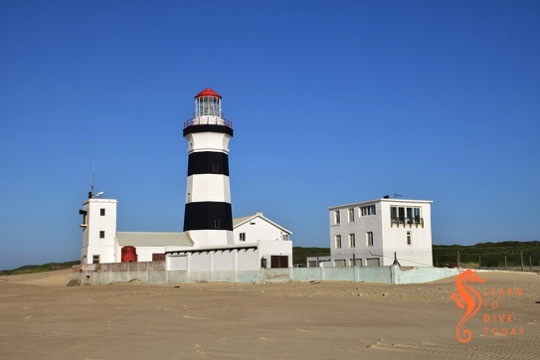 A visit to Port Elizabeth can be very rewarding for the lighthouse enthusiast, with no less than three lights in close proximity. 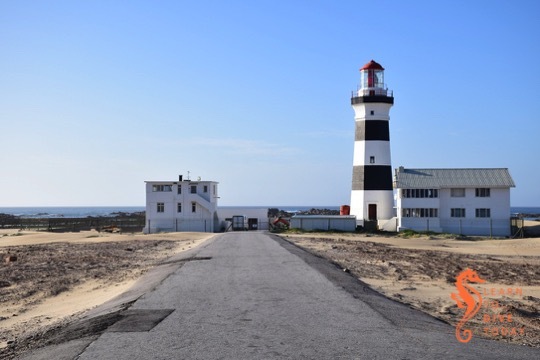 The Hill lighthouse is the oldest, and is almost in the centre of the town. It was commissioned in 1861, at which time it was seven metres high, and retired in 1973 when the competition from surrounding city lights became too intense. 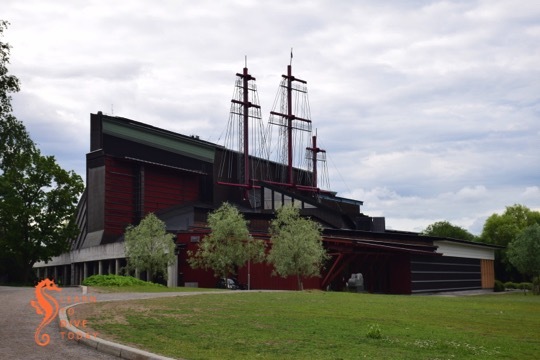 It is a brick structure, and was originally stone coloured. 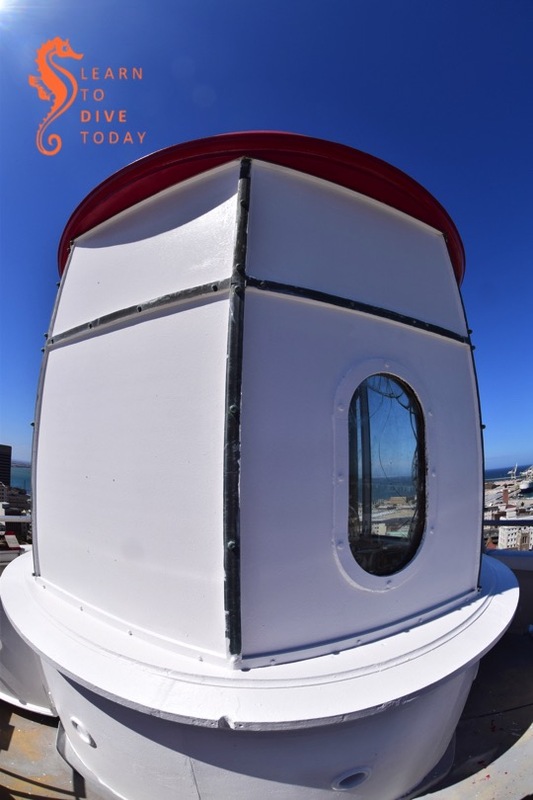 In 1903 the eight panels of the tower were painted alternate bands of white and red, and in 1907 the entire tower was painted white (as it is today). In about 1921 a red band was painted half way up the tower. 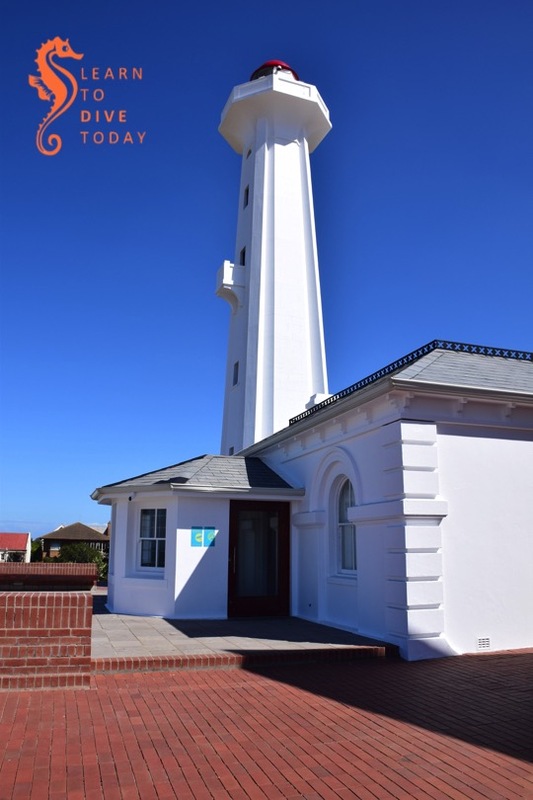 The lighthouse keeper’s cottage below the tower was built in 1865 for Charles Hammond, the first lighthouse keeper, who served until 1881. 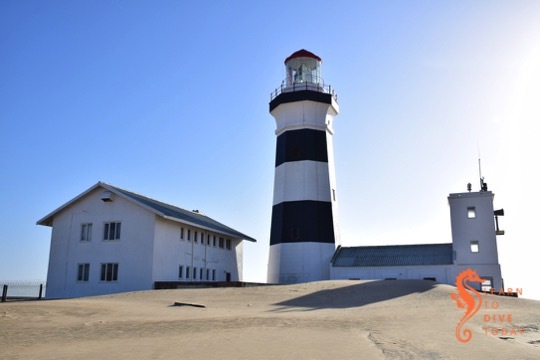 The Hill lighthouse was raised by nine metres during 1929-1930 in an attempt to distinguish it from the lights of Port Elizabeth, and was finally replaced by the Deal light, a short distance out of town, when it became apparent that as the city got larger and brighter, the Hill light was being overwhelmed. 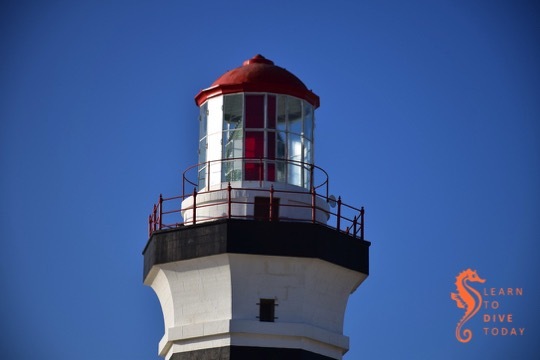 There isn’t a lot of information available about the optics of this lighthouse, given that it hasn’t been in use for 45 years. It appears that a Chance Brothers lamp apparatus was installed in 1903, with a German-built optic, but more than that I haven’t found. 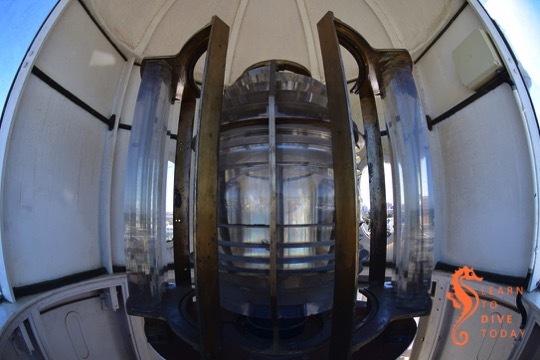 Chance Brothers were glassmakers, who pioneered surrounding lighthouse lamps with a cage of fresnel lenses to make the light visible over greater distances. 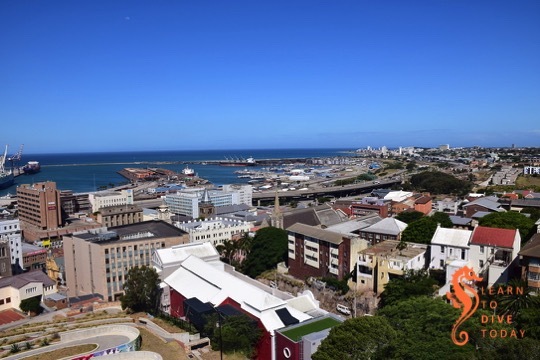 The Hill lighthouse is situated in the Donkin Reserve, a surprising open space high on a hill overlooking the city and the harbour. 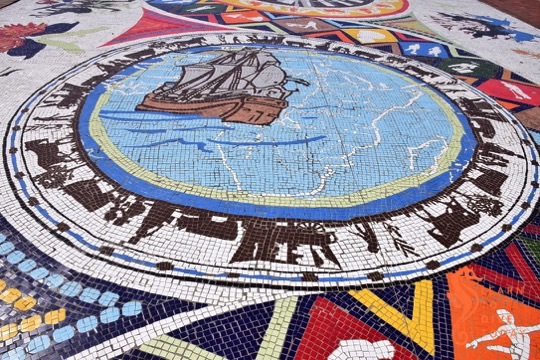 The area is planted with indigenous vegetation, and boasts beautiful open spaces and a magnificent 470 square metre mosaic (the Piazza Mosaic) showing elements of the history and natural attributes of the city and surrounds. 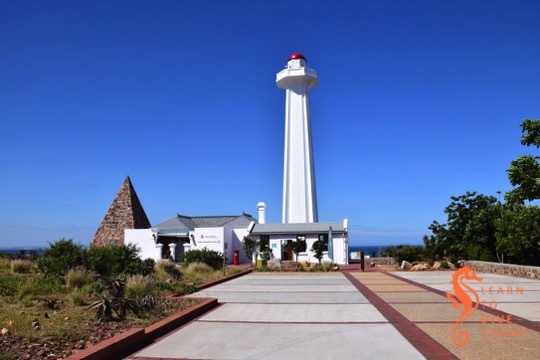 Also on the Donkin Reserve, and right next to the lighthouse, is a ten metre high stone pyramid erected by Sir Rufane Donkin in memory of his wife, Elizabeth, after whom the city was named. 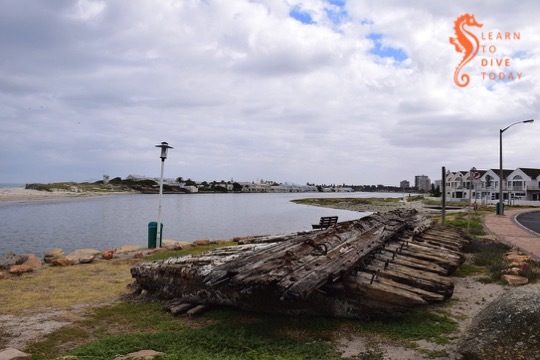 Donkin was acting Governor General of the Cape Colony from 1820-1821, sent here to recover from the death of his young wife. 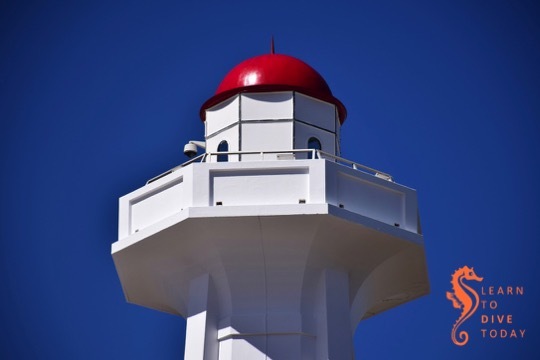 It’s possible for the public to visit and climb the lighthouse, from which beautiful views of the city are visible. 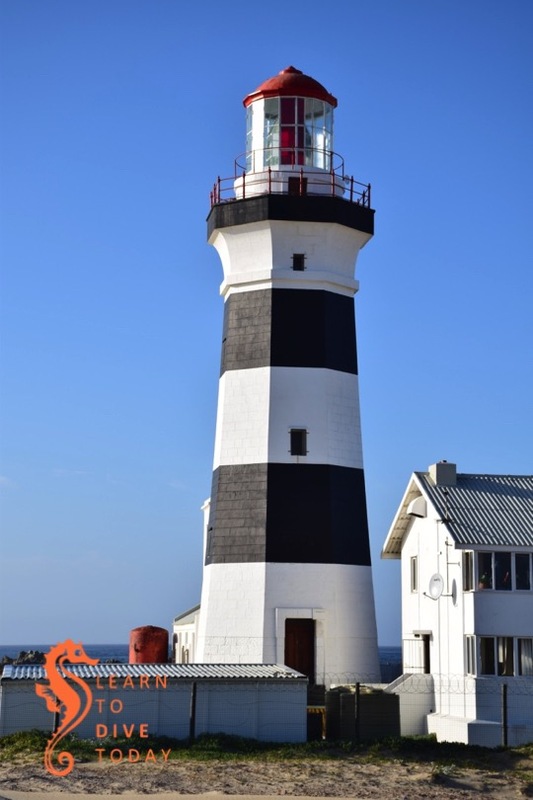 As with most lighthouses, the climb is narrow and vertiginous, but recommended! You can find more information about visiting hours here. There’s a nominal fee but the opening hours are far more favourable than most lighthouses I’ve visited. 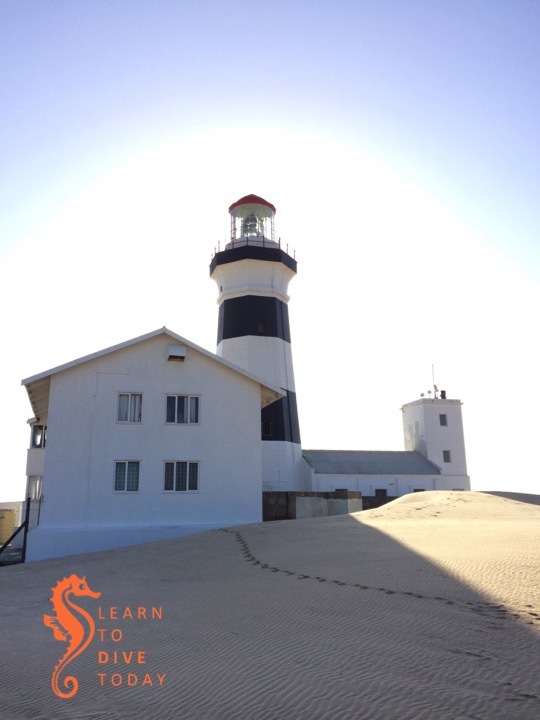 You just need to go into the tourism office under the lighthouse, tell the person on duty you want to climb the tower, and get further instructions there. 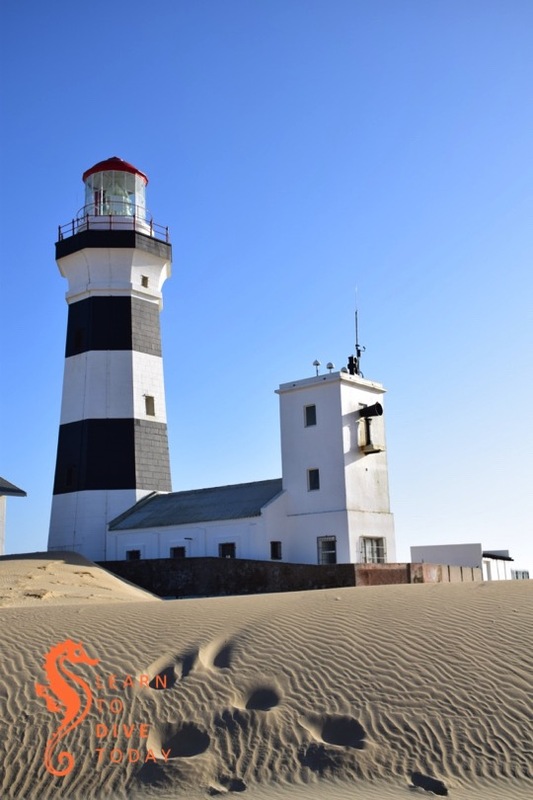 For more on South Africa’s lighthouses, check out Lighthouses of South Africa. 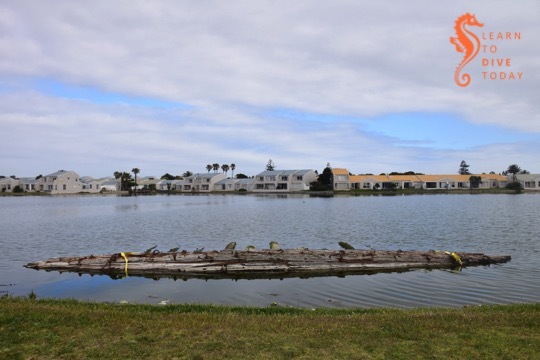 I am happy to report that the Commodore II has finally been paid the attention she deserves, and moved to a permanent position on the shore of Milnerton lagoon. 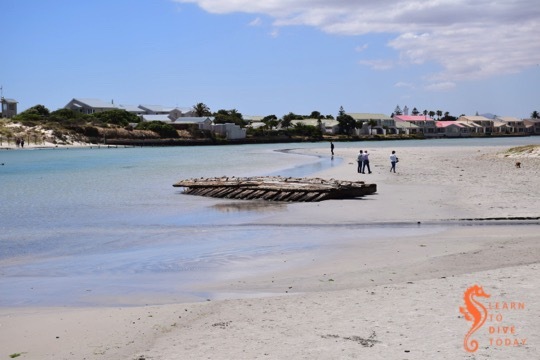 SAHRA began a process in late 2016 (when the wreck still lay on the beach close to the lagoon mouth) that has finally concluded with the wreck being moved on Friday 23 November. 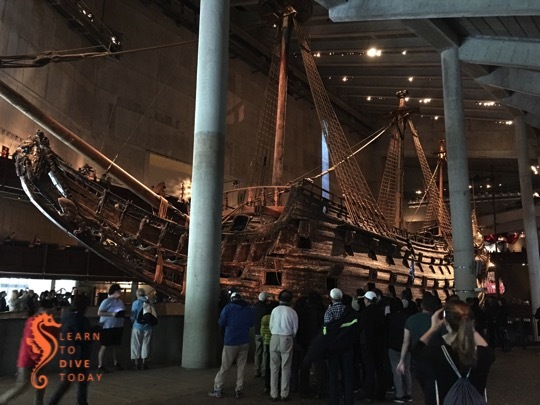 There are some pictures of that endeavour here and here. We first wrote about the Commodore II in 2015, and I was amazed that a wreck with such a fascinating and high-profile history could have practically disappeared into obscurity. 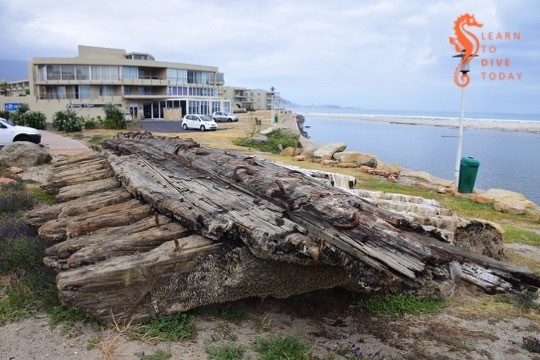 There appeared to be no desire from the keepers of our maritime heritage to protect her, and when she washed up the Milnerton lagoon during a storm in late 2017, it seemed that she would be carted away piecemeal for firewood before anyone realised what was being lost. 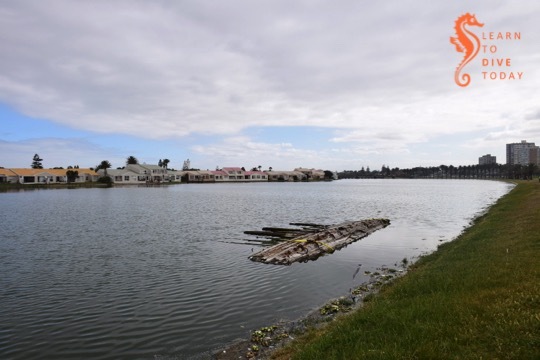 Late last year, an enterprising local resident secured the wreck to the banks of the lagoon off Esplanade road, at his personal expense, to prevent it from washing around inside the lagoon and injuring paddlers or damaging the historic bridge further up. 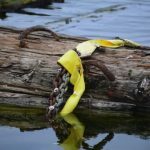 We wrote about his efforts here. 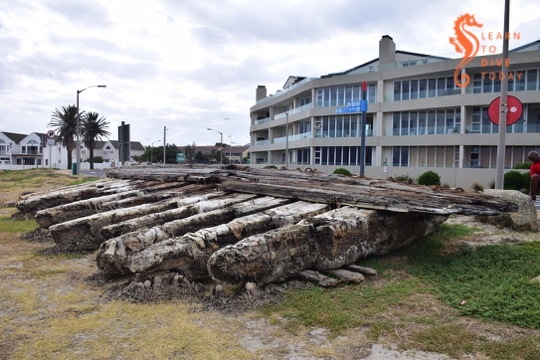 The new, and hopefully final location of the wreck is just next to the small parking area outside the Lagoon Beach hotel and Wang Thai restaurant. 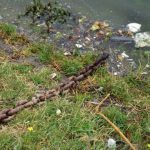 It’s entirely accessible at all hours of the day and night, and there are promises of interpretive signage to share the wreck’s history with passers by. 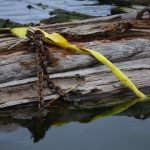 I went to visit the wreck a week after she was moved. 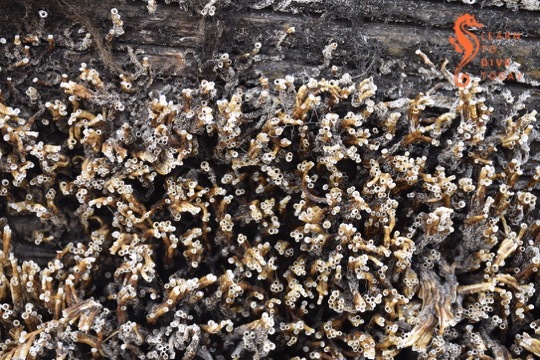 Dried pond weed still covers some of the planking, and thousands of tiny tube worms cover the lower part of the structure that was submerged (I can’t tell what kind – most likely Ficopomatus enigmatus, the estuarine tube worm that thrives in brackish water). 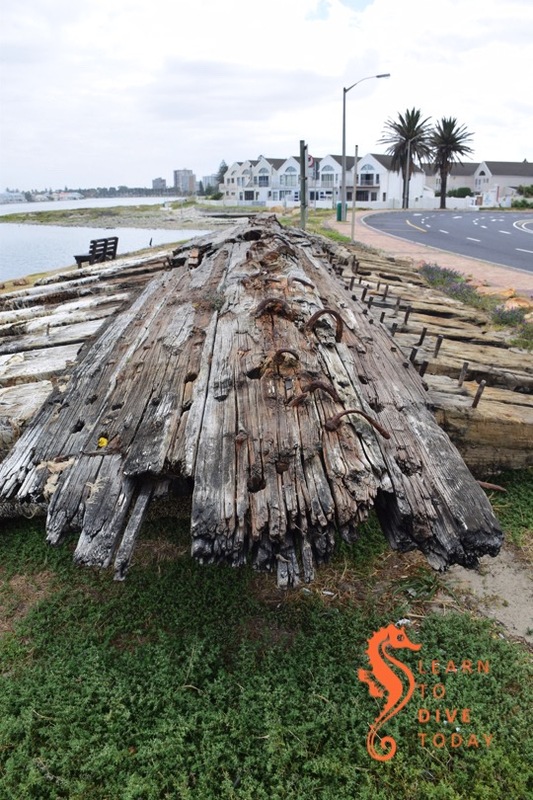 It’s great that the Commodore II is now firmly on the radar as one of Cape Town’s historic shipwrecks, worthy of preservation. I’ll be updating my ebook to reflect her new location before year-end. Meanwhile, read about her chequered history here. This is a beautifully designed and produced annotated version of Old Fourlegs, J.L.B. Smith’s account of the discovery and positive identification of a living coelacanth in 1938. 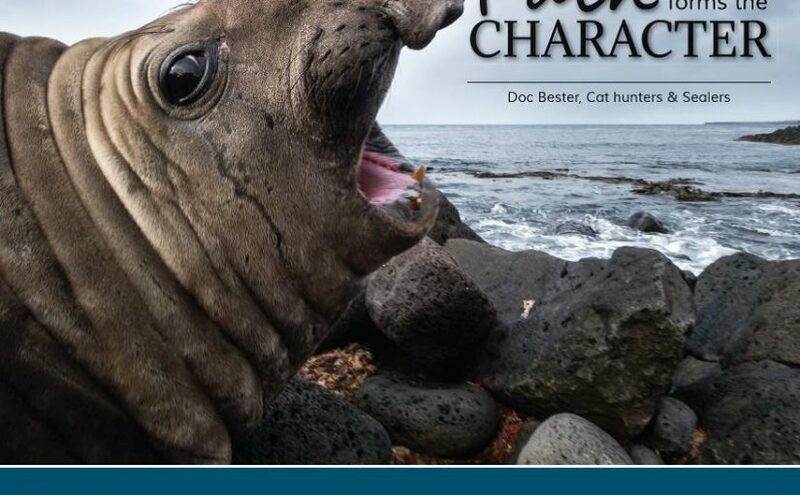 Wide margins around the original text allow Mike Bruton to bring Old Fourlegs up to date with additional scientific information, as well as photographs, explanations, and other curiosities. 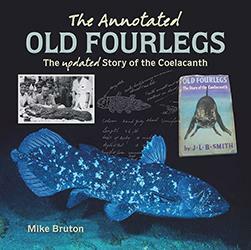 Old Fourlegs describes the months in 1938-1939 during which Smith confirmed the identity of the coelacanth with the essential assistance of Marjorie Courtenay-Latimer of the East London Museum. 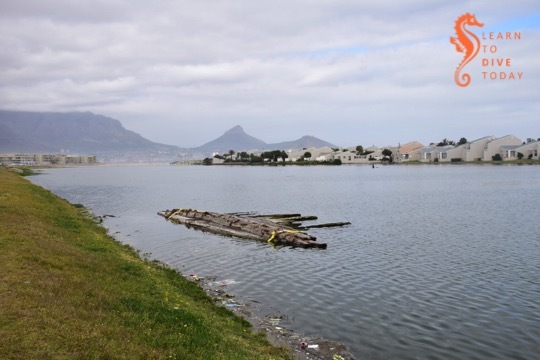 Ms Courtenay-Latimer acquired a fish specimen from a trawler captain, and, realising that it was an exceptional find, contacted Smith, an ichthyologist at Rhodes University. A rollercoaster of events – which involved the chartering of a South African Airforce plane and stretched all the way to then-Prime Minister D.F. Malan – was set in motion. 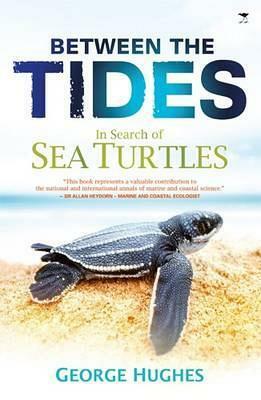 Old Fourlegs is a surprisingly emotional, thrilling book by a man deeply invested in his work, and whose world was upended by the discovery of living coelacanths in the waters of the southern Indian Ocean. It is also a book of its time, and today’s readers will find some parts by turns mystifying, and others offensive. The offensive bits – including lionising D.F. Malan, who, with his government, laid the foundations of the edifice of South Africa’s apartheid legislation – remain so, but Bruton’s annotated version provides context for readers unfamiliar with the history. The book concludes with an examination of the cultural legacy of the coelacanth, which is disproportionately significant. 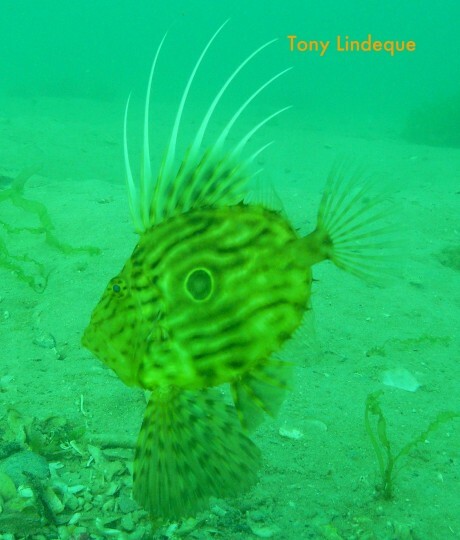 The fish also has deep and wide links to South Africa and our research and diving community. 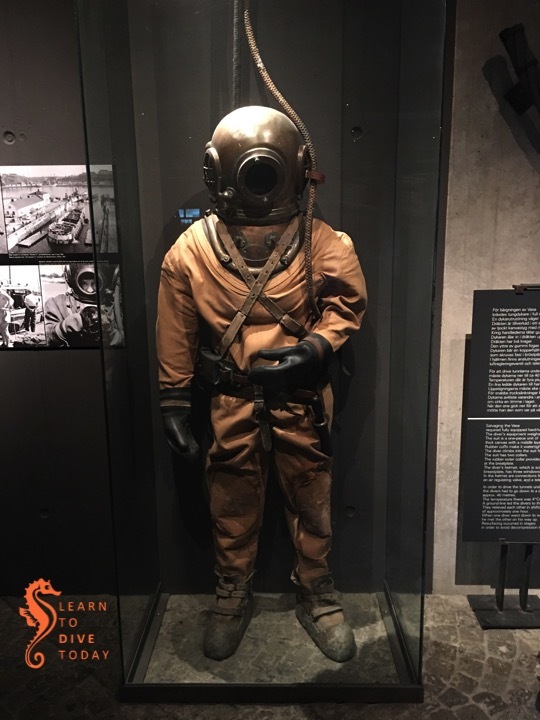 If you have the appropriate (very deep diving) qualifications, you can dive with them in Jesser Canyon in Sodwana Bay. If you’ve never seen a video of one of these magical animals in motion, I encourage you to hit up youtube. Watch with the sound off for best effect. 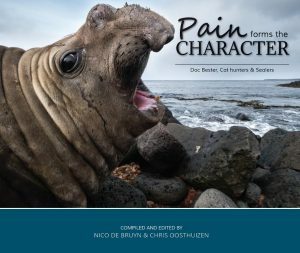 Get the book here (South Africa), here or here. This is a volume you should read in hard copy, not as an ebook. We are in a phase of semi-decent weekday diving and dodgy weekends again. We had fairly good False Bay diving during the week, but the weekend forecast is not ideal for much beyond storm chasing. Strong winds and some significant swell topped off with a dash of rain are hardly a cocktail for diving. Northerly wind is not that great for False Bay and neither is a 5 metre swell, so best you pursue some other form of activity this weekend. 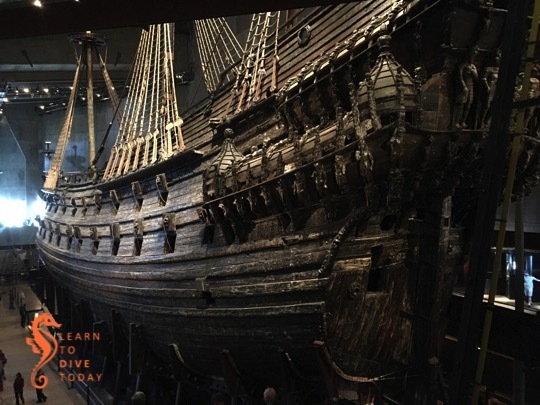 This Wednesday 17th is the nautical archaeology talk I mentioned in last week’s newsletter. 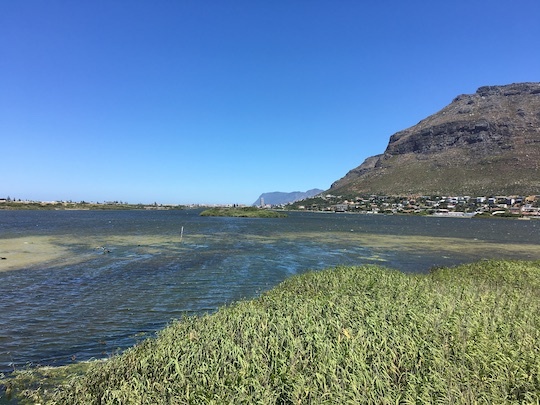 There’s a talk on 23 August about the health of our fish stocks by scientists Colin Atwood and Jock Currie at Bellville Underwater Club – info on facebook. If you have a UCT staff or student card, you can listen to conservation photographer Thomas Peschak speaking on 21 September – info on facebook, too.